Our adoption fees often do not cover all of the medical expenses of our rescues. Other than minor expenses and fees (i.e. events, supplies) our donations are used directly to care for the animals. Please use the PayPal link to securely provide a donation. Your donations may be tax-deductible! Please contact Save the Strays Foundation at info@savethestraysfoundation.org to become a part of our foster home network! If you cannot adopt you can still help us save the lives of animals. The more foster homes we have, the more animals we can rescue. Placing our strays in a home enviroment prepares them for their forever family. We now have cotton toddler t-shirts available in sizes 2T-6T! Please PayPal $15 plus $4 shipping to info@savethestraysfoundation.org. Indicate which size you are ordering. Thank you for supporting our animal rescue! We are excited to announce that we have new shirts! Both men's and women's tank tops are quick-drying, anti-microbial, and double needle stitched for durability. The tank tops are only $20 (plus $4 shipping) and all proceeds help us rescue strays. To order via PayPal send your payment to: Info@SaveTheStraysFoundation.org and include the sizes and shipping address in the notes section. If you would like to pay via credit card or check please send us a message. Women's sizes are available in S, M, L and XL. Men's sizes are available in S, M, and L.
Walk your dogs, work out, or run your errands in this comfortable tank top. 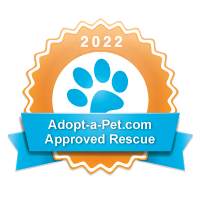 Thank you for supporting rescue! PayPal accepted: info@savethestraysfoundation.org with shipping address and order details. Water bottle $5, Sterling silver plated charm $5, Magnet $3, Dishwasher safe ceramic mug $10.PayPal payment to: info@savethestraysfoundation.org with shipping address and order details. All merchandise proceeds benefit animal rescue!